Have you ever been previously employed at Jack Brown Cleaners? 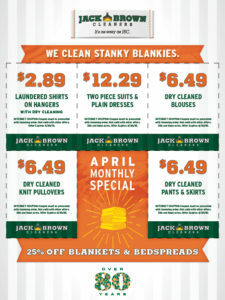 How were you referred to Jack Brown Cleaners? If hired, on what day can you begin work? If hired, do you have reliable transportation to get to work? If a job is offered, will you be able to provide legal verification of your eligibility to work in the U.S.?